The best anti-snoring device is only prescribed after you’ve been screened for Obstructive Sleep Apnoea / Apnea (OSA). Despite this, anti-snoring devices (Mandibular Advancement Devices – MADs) or ‘gumshields for snoring’ are big business on the internet and in the pharmacy. How to choose one that actually works?! 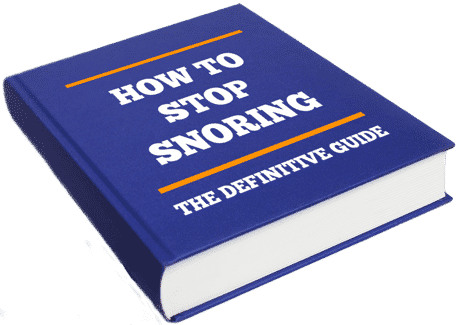 Snoring aids and cures are increasingly popular as we recognise the impact poor sleep has upon our health, daytime functioning and work performance. A Daily Mail article Ten Snoring Cures reviewed 10 ‘cures’ available in the UK. The journalist tried to stop his own snoring, with chin straps, pillows, sprays and ‘gumshields’, aka anti-snoring devices. 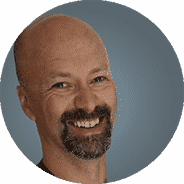 If you are looking for impartial advice about snoring from an expert in the field, the highly respected Adrian Zacher should be your go to. We applaud Adrian’s work, to raise awareness about the health implications of snoring, and the importance of custom-made devices for long-term success. So, its a reasonable question to ask…. Which Anti-Snoring Devices really work? ‘Gumshields for snoring’ could more accurately be described as mandibular advancement devices (MAD). They are also known as mandibular repositioning devices (MRD) or even sometimes mandibular advancement splints (MAS) ! In this updated for 2019 review, I examine how both categories of anti-snoring device measure up against my Top 13 criteria for choice (see call out box) to determine which ones really work, and if they’re safe and effective. Each section concludes with my verdict and there’s a free bonus at the end! Are your jaw joints at risk? Snoring may be a symptom of obstructive sleep apnoea/apnea (OSA). Without first being screened for OSA your purchase of an OTC anti-snoring device, could harm you and if you snore because you have undiagnosed Obstructive Sleep Apnoea (OSA) the OTC gadget delays effective (and free on the NHS!) treatment that will prolong your healthy life. In the UK, you can also find sleep-trained dentists who can screen you and recognise Obstructive Sleep Apnoea/Apnea (OSA) symptoms2, make custom anti-snoring devices for snorers, without a prior medical diagnosis, or if they suspect OSA refer you on for further investigation. What does 'clinical evidence' actually mean? Medical and dental experts review medical devices (clinical research) to establish if they work. Their research produces data and information which can be thought of as ‘proof’ that something does or does not work, and how well it works in certain circumstances. The evidence they create is also judged for quality. When selecting an anti-snoring device, it’s important to look at this clinical evidence. To judge the quality of a mandibular advancement device’s (MAD’s) clinical research evidence, you need to look past the headlines claiming “Clinical research– tick”. What was the outcome of the research?! Gumshields or ‘Boil-and-Bite’ anti-snoring devices, have been clinically researched head-to-head against custom-made, prescription, adjustable anti-snoring devices and found to be lacking. Today, clinical research has established that custom made MADs are first-line therapy (the default first option) for snoring and mild obstructive sleep apnoea / apnea. Predictors of satisfactory outcome before purchase (who will benefit and why) and which type of custom made MAD is most effective for a given genotype (which MAD is best for YOU as opposed to a vanilla approach). It is not enough to say that an MAD has been clinically researched. Such research may have proved the MAD didn’t work! A positive outcome from clinical research can be thought of as a ‘guarantee’ of sorts. My advice is to do your homework (grab the Bonus Mouthpiece Guide at the end) and be guided by a sleep-trained dentist. You can find one on via our Links page. [Note: Below is an advanced topic about typical MAD research metrics. So, if you’re new to clinical evidence, feel free to skip this tip]. Why use a dentist to get an Anti-Snoring Device (MAD)? Financially, its tempting to cut out the dentist. After all, a large part of the cost to you when purchasing a mandibular advancement device, is their clinical time. The device fees vary, but what are you paying for? While Dentistry may initially seem expensive, the risks of not using an expert are considerable. Remember, you are relying on the anti-snoring device to hold open your airway while you sleep. Think carefully before you choose. Some dentists are specially trained in snoring and sleep apnoea / apnea, known as sleep-related breathing disorders (SRBD) and work closely with medics. Dentists with a special interest in sleep, can help you find the correct balance of benefits versus side-effects. 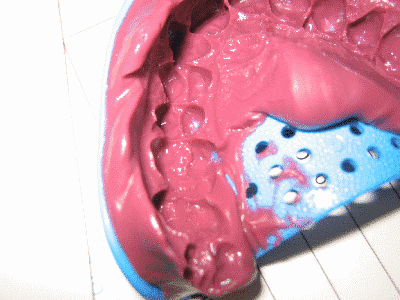 If you have certain medical conditions, or grind your teeth, you might break an OTC ‘gumshield’ whilst you’re asleep. When you are asleep you cannot spit out pieces of a broken gadget. You could INHALE or SWALLOW pieces. You can find sleep-trained dentists on our Links page. In the UK, look for the British Society of Dental Sleep Medicine. The terrifying thought of bits of MAD breaking off and being inhaled while you sleep, should surely make you realise you need to see a sleep-trained dentist and use a prescribed custom-made, adjustable anti-snoring appliance, made to quality standards. In case you’re wondering, I’m not a dentist. 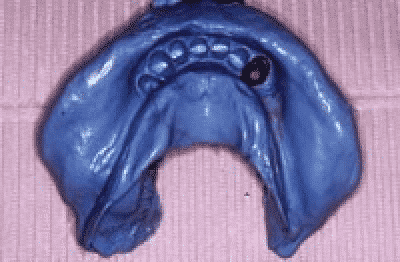 Example of a custom-made Mandibular Advancement Device (MAD). Image above used with permission from SomnoMed. 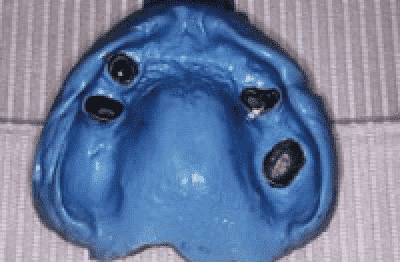 Example of a custom-made Mandibular Advancement Device (MAD). Image above used with permission from SomnoWell. Both the design and clinical expertise in how an anti-snoring device is supplied, directly impacts your likelihood of successfully wearing it (and therefore whether it stops your snoring) – particularly during the first two weeks of use. but if you don’t wear it – it doesn’t work. Generally OTC gumshields for snoring are “one-size-fits-all”. They have to be bulkier in size to adapt to your teeth than custom-made devices. This would mean it feels like you are squeezing a tennis ball into your mouth – Oh, and then you’re expected to sleep! A sleep-trained dentist will ensure that your MAD fits properly and doesn’t hurt. They will also ensure you know how to put the device into your mouth and get it out again. As a general rule, custom-made anti-snoring devices are less bulky than ‘gumshields’. Due to the lack of accuracy of the ‘fit’ and one-size-fits-all approach of gumshields, they may be too large, too small or take up so much room in your mouth you can’t close your lips and you find yourself dribbling attractively! No. 4. Will an Anti-Snoring Device (MAD) damage my teeth and gums? You wear these things in your mouth. Its quite possible that a gumshield will place excessive load upon an individual tooth/teeth. Over time your teeth will move. It will hurt. And you will either stop wearing the mandibular advancement device and accept the financial loss (good luck trying to get a refund on a used product), or under duress from your partner and family, continue wearing it and risk losing the tooth or an expensive crown/cap/bridge. Prescription Mandibular Advancement Devices on the other hand, can be designed to avoid certain teeth if they are identified as at risk. An expert sleep-trained dentist can help identify (and save that tooth) if it could not withstand the lateral loading required. A dental technician would ‘block out’ the identified tooth and not include it in the custom-made device. All anti-snoring devices will aggravate your oral hygiene. However, a sleep-trained dentist would ensure BEFORE you had an MAD, that your hygiene and oral condition (teeth, gums and jaw-joints) were satisfactory before you began to use it. Try to keep the device as clean as possible. Use your toothbrush and toothpaste on it each morning. Don’t use chlorine based denture cleaners on gumshield based devices – it makes them hard and brittle (unusable) rapidly. Instead, use a baby bottle sterilising fluid (follow the manufacturer’s instructions). Brush and floss your teeth carefully and consider using a chlorhexidine mouthwash. If you spit blood when you clean your teeth consult a dentist/hygienist. ‘Boil-and-Bite’ devices will flex when worn and over time, this will procline (tilt forwards) your lower incisors and retrocline (tilt backwards) your upper incisors. Certain custom-made anti-snoring devices are designed to avoid this tooth tilting movements. No. 5. Will an Anti-Snoring Device damage my jaw-joints? Jaw pain is truly horrible and once you have a jaw pain problem it persists. All types of mandibular advancement device (MAD) work by moving your lower jaw forwards, and the amount it does this to be effective, and not hurt too much, is specific to you. Some gumshields for snoring are only adjustable in large increments, while others you have to fit the device – rather than the device actually fit you (again you may lose your money). Custom made, adjustable, prescription MADs really win when considering your jaw joint. In fact, it’s possible, with some of the custom made ones to start off wearing it with no (or very little) change in your jaw position. While of course it won’t initially prevent snoring in this position, the dentist will gradually advance your jaw until you stop snoring over a matter of weeks or perhaps even longer (this is known as titration). This gives you, your device (and your jaw joint) time to get accustomed. Which means you STOP SNORING! And don’t permanently harm yourself. Yay! Your sleep-trained dentist will screen you for sleep apnoea, assess your teeth, gums and examine your jaw joints. And direct you to appropriate help. If everything is OK, they’ll monitor the effect the MAD is having upon your teeth, gums, jaw joint and snoring. A sleep-trained dentist would know what to avoid and ensure you did not experience premature posterior contact (see call out box) that would damage your jaw-joint. This gets a bit technical. A common problem particular to ‘gumshields’ occurs when the device is adjusted forwards known as ‘protrusion’ (you might do this in an attempt to increase the effect – and stop the snoring noise). The upper and lower parts of the device may then come into contact on just your back teeth. This acts like a ‘bit’ for a horse – it gives you something to chew on. It ‘gags’ open the bite (keeps your jaws more open than they should be) and this uneven bite places enormous load on your jaw joints. It would be even worse for your jaw joint, if this was on one side only, and as you close your mouth, your jaw has to ‘rotate’ around this ‘premature contact’. What the above means, is that your jaw has to move in unnatural ways. This hurts. And if you use the device in this position (because you’re trying to appease your partner) you will irreversibly damage your jaw joint. How well your anti-snoring device fits, is known in dental terminology as ‘retention’. But retention has two meanings in Dental Sleep Medicine (DSM is the term for MADs used to help with sleep-related breathing disorders, including snoring and OSA). The first meaning is how well it keeps hold of your teeth, or to put it another way, how well it ‘clips on’ or stays in place. Most MAD designs rely upon its ability to ‘clip’ into place to then be able to hold your jaw forwards – and stop you snoring. The second DSM interpretation of ‘retention’ relates to the MAD’s ability to hold open your airway, retain it in a forward position, and prevent you from snoring. So, the right amount of retention (or fit) is essential for it to work. Over-the-Counter ‘gumshield’ vendors make their money by relying on you being too lazy to seek a refund when it doesn’t work. This is unavoidably technical. So, feel free to skip to my verdict. Due to the necessary choice of thermo-plastic (it softens and becomes adaptable to you, when heated in boiling water) material used in ‘boil and bite’ devices, getting and keeping the right degree of retention, for the long-term is nigh on impossible. The material ‘wants’ to go back to its original shape as it cools down, which is technically due to both the elastic memory and elastic recovery of the material. There’s more about the material used in the Lifespan or ‘Cost per wear’ section below. Custom-made dental devices for snoring are made for you (on prescription) from raw materials by a registered dental technician. While the materials used vary, they usually only become thermoplastic (soften when warmed up) when heated over 100 deg C.
On the other hand, ‘Customised fit‘ devices are the ‘Boil-and-Bite’ gumshield type of MAD (and I know you know water boils at 100 deg. C!). Boil-and-Bite gumshields for snoring as a general rule, cannot provide good retention. Without good retention or ‘clip’ to your teeth, gumshields will not stop you snoring. End. No. 7. Can I adjust the position of my Anti-Snoring Device (MAD)? The ability to adjust the forward position of your jaw (adjust the protrusion to prevent snoring) impacts upon both comfort and how well it works. The optimum position is unique to you. It has to be just far enough forward to prevent you from snoring, yet not so far forward, it hurts your jaw joints. Fixed devices (sometimes called ‘monobloc’ devices) take an arbitrary approach to the forward position of your lower jaw. This primitive design (exhibited by both over-the-counter gumshields and some old tech custom-made ones) is likely to be less than ideal for comfort and effect. For the MAD to prevent snoring it must prevent your mouth from falling open. You need a different MAD. If you’re trying to ensure you breathe through your nose and stop your mouth falling open, then read Chinstraps for snoring? Safe, Effective or Dangerous? [new window]. In my chin strap review, I examine if they have a role for snoring and obstructive sleep apnea (OSA). If you can only breathe through your mouth and/or sometimes struggle to breathe through your nose, then consult your GP and seek an ENT assessment. The most modern custom-made adjustable MADs have between 8-10mm range of movement. If more is needed – you will most likely need a remake (more money). Clearly, fixed or monobloc devices fail this test 🙂 A new anti-snoring device would need to be made if the jaw position was incorrect. Adjustable anti-snoring devices need to have sufficient range of motion to coincide with your jaw range of motion – or you must start in a forward jaw position, which may impact your ability to get along with the MAD initially. A material that softens in boiling water called ‘Ethylene Vinyl Acetate (EVA) or EVA’ is commonly used in gumshield type anti-snoring devices. This material absorbs saliva from your mouth (and also any cleaning chemicals that may then leak back out into your mouth overnight – nice). They are damaged if you grind your teeth because the material is soft and elastic. Their typical lifespan is 6 months to 1.5 years before the EVA constructed gumshield becomes too smelly and unpleasant to use. They also distort and place high lateral loads on your front teeth – making them very sore in the morning. Some early design variants of custom-made anti-snoring devices, are also made from EVA ‘blow down’ or vacuum formed blanks of CE marked material by a registered dental technician. 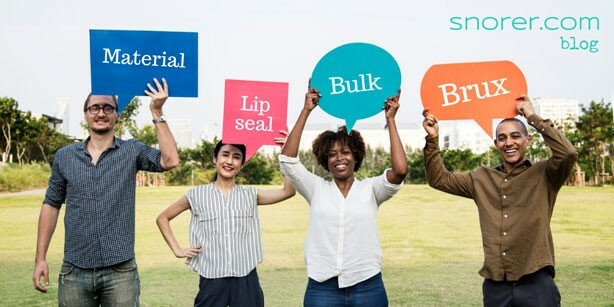 However, most are typically made from a type of denture acrylic (polymethylmethacrylate) or ‘PMMA’, and as such are stronger and less likely to absorb saliva than EVA materials. Some new variants are made from a type of ‘Nylon’ (polyamide) and are very strong in thin section (see Comfort and bulk above). This means they will last longer and therefore the ‘cost per wear’ may be reduced. In the UK, it is also possible to obtain a custom-made anti-snoring device manufactured entirely from metal (known as ‘Chrome’ = Cobalt chrome wiki link: http://en.wikipedia.org/wiki/Cobalt-chrome ) While this type of manufacture may cost more (they are more time consuming to make) the material cross-section is extremely thin (fractions of a millimetre are possible) making the bulk in your mouth minimal (see comfort and bulk above). Additionally, the metal device does not absorb saliva or cleaning agents. 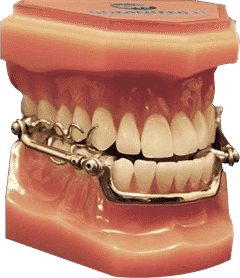 The downside is that any adjustment of ‘fit’ of metal devices may be problematic and over time the clasps (bits that wrap around your teeth to hold [retain – remember that?] the device in your mouth) may ‘relax’ and need adjusting. Broadly speaking its a sliding scale of cost versus lifespan. The high-end devices using nylon or chrome are thinner and less bulky but are also difficult (if not impossible) to adjust. This does not mean to say its a problem, they just have to be perfectly made. So, if its not – then it needs to be remade: Do not accept a poor fitting custom made anti-snoring device. When using a mandibular advancement device (MAD) it is essential to prevent your mouth from falling open for effective snoring relief and to avoid making your airway narrower than it would be without a mandibular advancement device. Why does vertical opening matter? The lower jaw rotates backwards as it opens which further narrows your airway and makes snoring worse (or if you have sleep apnoea / apnea may increase the severity and duration of apneaic episodes). If your jaw is protruded with a mandibular advancement device (MAD) and your jaw falls open your airway may be narrower than without using an MAD. See the three X-ray diagrams below, to understand why vertical opening with an MAD should be avoided. 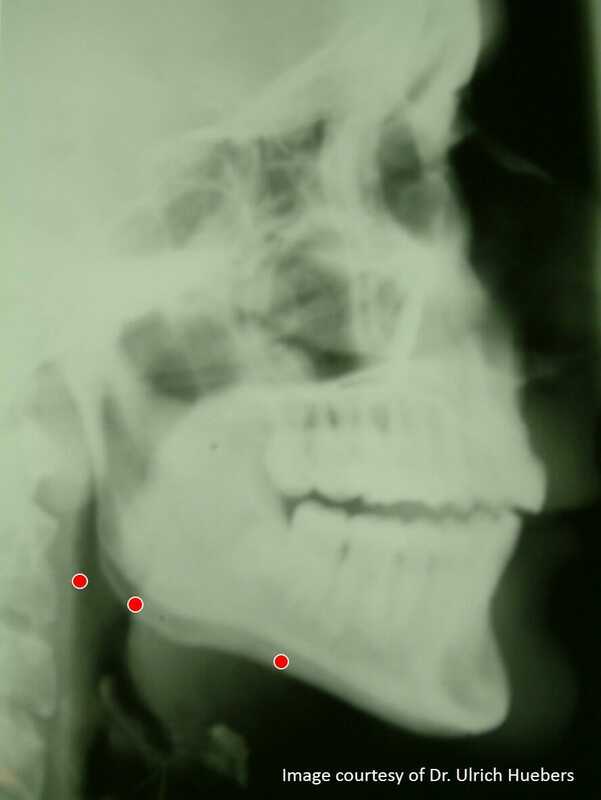 The red dots highlight how the airway increases / decreases with protrusion and vertical opening. 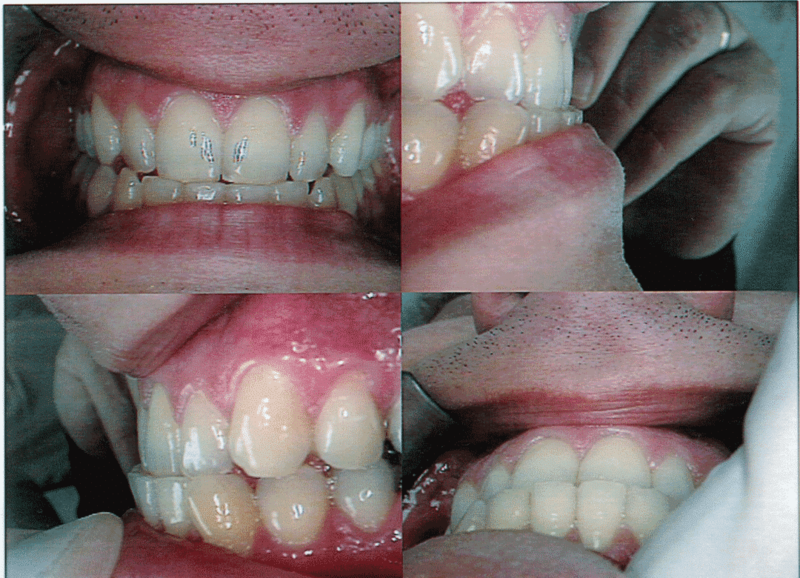 Images courtesy of Dr Ulrich Huebers DDS. The diagram (below left) shows the size of the airway in your throat without a mandibular advancement device (MAD). The diagram (below centre) shows the ideal situation. The mandibular advancement device advances the jaw and opens the airway in your throat. The third diagram (below right) shows how the airway becomes narrower with both protrusion and vertical opening. Disaster. 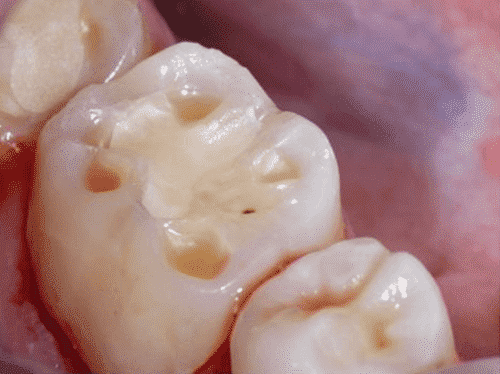 Both categories of MAD (Boil-and-Bite gumshield and custom-made MADs) can fail when examined against this important test metric. Jaw advancement must increase as the mouth opens (protrusion must increase proportionally [to maintain the same effect] if vertical opening occurs). Increased tolerance and improved long-term compliance. However, opening beyond 5mm (measured between the incisors) is uncomfortable, inhibits lip closure and detrimentally impacts long-term use. A design principle for MADs is control of vertical opening (note my previous comment about not needing a chin strap). It might seem obvious, but unless the MAD is worn, it cannot stop your snoring. As such, it must be comfortable to use. Part of this comfort equation is the MAD not creating a ‘trapped’ sensation. This may occur when the lower jaw is unable to move from side-to-side. Some MADs (both custom-made and ‘Boil-and-Bite’) exhibit the capability to move laterally (side to side) while some do not. My viewpoint is that you should look for one that does permit movement. 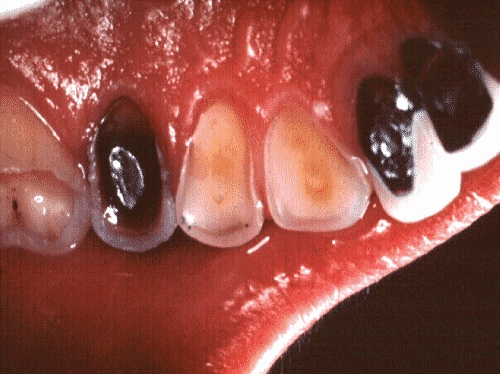 If you grind your teeth (brux) then this will significantly impact the life-expectancy of your MAD. In fact, you may work harden metal components necessitating their earlier replacement, than would otherwise be expected. Finally, while it is perhaps a contentious area, if you routinely ‘brux’, then an anti-snoring device that does not permit side-to-side (lateral) movement may actually disrupt your sleep. One theory suggests that this is because your attempts to move are hindered. The opposing theory suggests you will no longer brux when your apnea is resolved. The jury is out. No. 11. Does the Anti-Snoring Device mechanism invade your tongue-space? Ever had a filling or a crown? You may recall how you were very conscious of it. You probably explored it with your tongue and it felt alien. Every anti-snoring device will feel huge in your mouth when you start to use it. The concept behind an MAD is to advance the jaw, and in turn, move the tongue forwards and away from the back of your throat. This increases your airway dimensions and improves tissue tone, which stops you snoring. So, when an MAD is too bulky, it squashes your tongue. Which is self-defeating. Typically, gumshields are bulky and squash your tongue. They may even have rough or sharp edges which may cause tongue ulcers. Technically, this may occur with ‘gumshields’ at the junction between two materials, typically with devices that have a hard-outer shell and a softer thermoplastic liner, or when they are crudely ‘adjusted’ with home equipment i.e. scissors! Some primitive custom MADs are bulky and invade tongue space. Materials technology is continually improving, and thinner cross-section devices are now appearing on the market using laser sintered polyamide (a type of nylon). While traditionally manufactured metal (known as ‘chrome’) devices are available. These may be expensive to make (as they are labour intensive) and may necessitate plastic and metal combined devices, which builds in failure points (because dissimilar materials exhibit different mechanical properties). The placement of adjustment mechanisms in the tongue space is uncomfortable and counter-productive (see concept note above in introduction to this point). Some early custom MADs used orthodontic screw mechanisms in the palate or inside the lower jaw (lingually). A sleep-trained dentist will guide you when you choose. To get informed for that conversation download our free, evidence-based How to Choose a Mouthpiece Guide. If you can’t wear your MAD, then its pointless having it. Consequently, comfort has to be a pivotal deciding factor when selecting one. Anything placed where your tongue can contact it, is a negative. Remember less is more, when it comes to MAD design. Consult your dentist and the MAD manufacturer’s instructions on how to clean your MAD. I would suggest that broadly speaking you should (every time you remove it in the morning) use a toothbrush and toothpaste on the device before/after cleaning your teeth. Floss if you have the enthusiasm and discipline… and consider using a chlorhexidine mouthwash too. Bacterial biofilm (a slimy film of infectious microbes) will form on the device. It’s important to pay extra attention to your oral hygiene (and keep the MAD clean with a toothbrush immediately you remove it in the morning). As I mentioned in Biocompatibility above, these materials absorb saliva (and cleaning fluids) so bacteria are drawn into the material itself – not just on the surface. Ewww. Again, as I mentioned in Biocompatibility, the use of materials with better properties, more suited to long-term use in your mouth, should have less detrimental impact. You will of course need to keep them clean and remove the biofilm – and keep your teeth and gums really clean. See a dental hygienist if you need assistance keeping on top of this. Its an investment. Prescription, custom-made MADs utilise materials that are better-suited to long-term use. They are inherently easier to clean and keep clean. This is vital when you consider the number of people who have gum disease (gingivitis) whose condition would be aggravated by an MAD, perhaps to such an extent that they risked losing a tooth. If you are lucky enough to have a marble bathroom, make sure that the MAD cleaning fluid does NOT splash out (powder or granule type cleaning products are commonly a type of acid that permanently damages marble). Ideally, clean your MAD elsewhere! (Voice of experience! Customer reported the above to me when I ran Zacher Sleep Appliances). The most common initial side-effect from using anti-snoring devices is related to saliva. Some people find they dribble while wearing the device during the first few weeks of use. Others may find they have a dry mouth. This is normally transient and may arise during the ‘titration’ period (where the device is adjusted to gradually advance your lower jaw and stop you snoring). 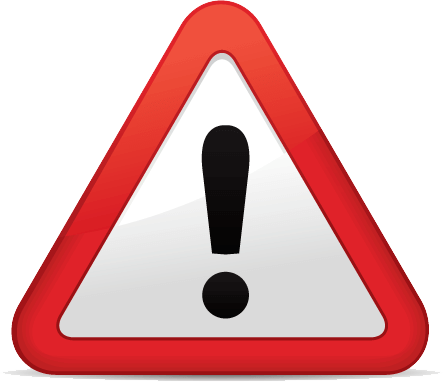 If this occurs, the correct advice is to speak with your dental clinician. It normally resolves itself but do not suffer in silence. This is due to the weight of your lower jaw (think gravity) and the muscles attached to it combining to attempt return of your jaw to its normal position. These forces are all transferred to your teeth and their roots. This is why even the most wonderful anti-snoring devices are NOT suitable for children – because they would act like an orthodontic device and move their teeth in uncontrolled ways (exceptionally an orthodontist may prescribe an anti-snoring device for certain children with particular needs). It is really important to keep things in perspective: Not snoring, breathing and sleeping at the same time or perhaps minor tooth movement? However, as I have highlighted throughout this review all anti-snoring devices have side-effects. A sleep-trained dentist would screen you for sleep apnoea, help you stop snoring and minimise (and if necessary correct) any side-effects. They also carry professional indemnity insurance and use prescription anti-snoring devices made to quality standards by registered dental technicians. 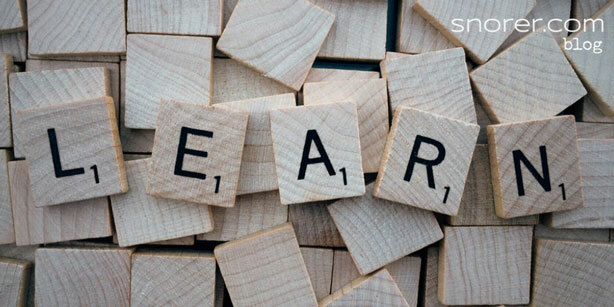 You’ll learn about your options and be able to make more informed choices. If you snore and self-help isn’t cutting it then don’t self-diagnose. Get signposted to the most appropriate professional to help you. 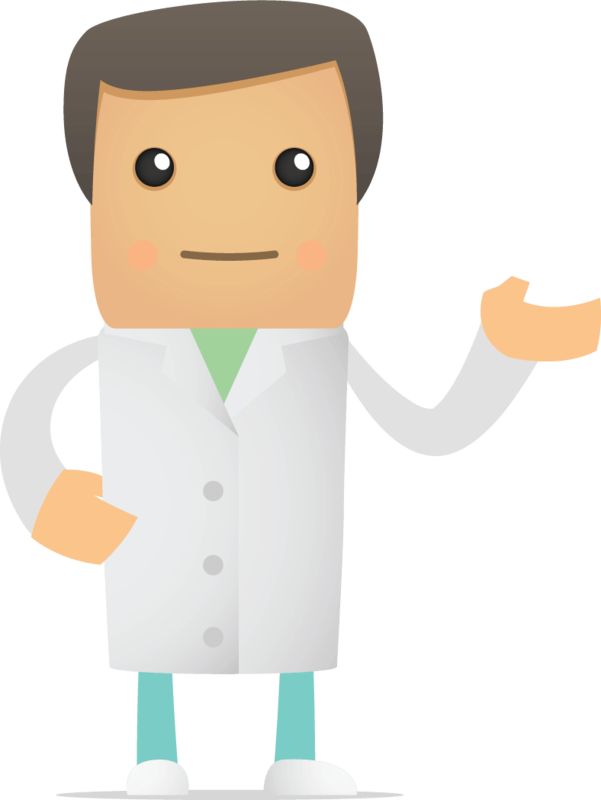 Its free, evidence-based and a simple way to find out if snoring is actually a symptom of sleep apnoea. This review has examined the best anti-snoring devices, both Over-the-Counter and custom-made, against my top 13 criteria, to help you choose an anti-snoring device that works, and is safe and effective. My final verdict is that while a ‘boil-and-bite’ gumshield may prevent snoring for a short while (if you fit the gadget) they are ultimately a false economy and won’t work for long (if at all). In conclusion, clinical research 3 has established that ‘boil-and-bite’ gumshields are not valid as either a trial or treatment device. But this is not a definitive guide to OTC anti-snoring device manufacturers’ claims. This is. So then, what works to stop snoring? My advice is to get screened for sleep apnoea and signposted to the most appropriate professional. Write a review below, and let me know. Really helpful when I was worried about my OH’s snoring. Gave me info on what to worry about. Next stop the GP. Here are some more high quality posts reviewing anti-snoring devices, snoring and sleep apnoea / apnea products, cures and aids! Anti-Snoring Device – generally considered a product worn in your mouth to stop you snoring. Boil-and-Bite – a type of gumshield for snoring that may be adapted to you by softening the material in boiling water. See OTC below. Custom-made – a bespoke device made exclusively for you by a registered dental technician, working to prescription, using CE marked materials. In Europe working to the Medical Devices Directive administered in the UK by the Medicines and Healthcare Products Regulatory Authority (MHRA). DSM Dental Sleep Medicine – the management of sleep-related breathing disorders using dental devices. Gumshield for snoring – see ‘Boil-and-Bite’ above. 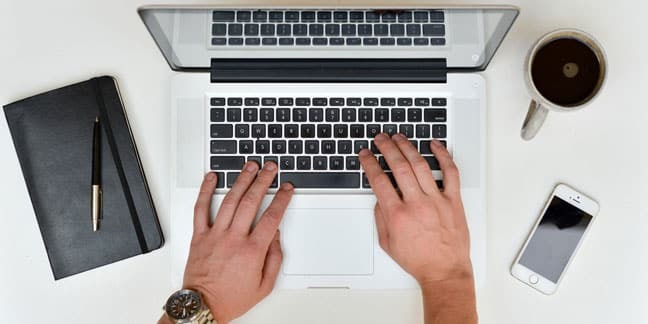 Information Standard – NHS England’s Information Standard. 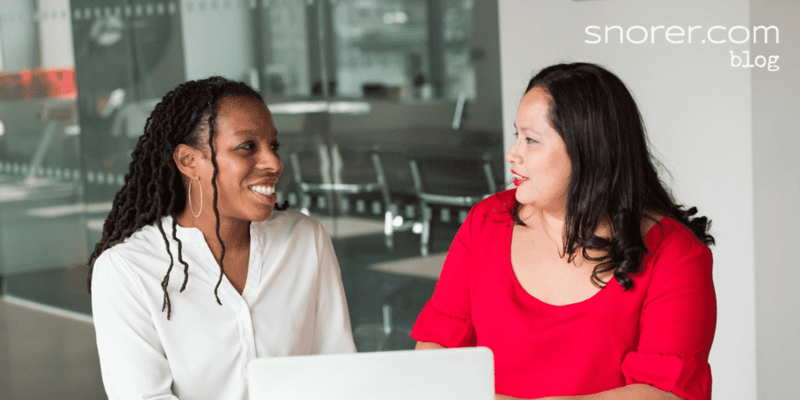 Organisations that join The Information Standard are showing their commitment to producing good quality, evidence-based health and care information. 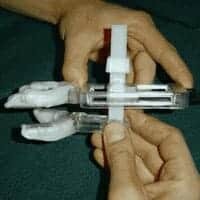 MAD Mandibular Advancement Device – Jaw advancing device, worn at night while asleep to hold forward the lower jaw to stop snoring and prevent obstructive sleep apnoea / apnea. 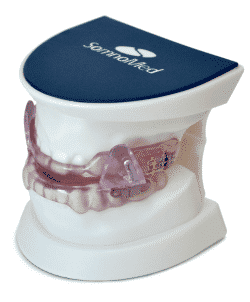 MAS Mandibular Advancement Splint – See ‘MAD’. MRD Mandibular Repositioning Device – See ‘MAD’. OSA Obstructive Sleep Apnoea – (also spelt apnea) When an individual is unable to sleep and breathe at the same time. Visually, a repetitive pattern of breathing interruptions (apnoeas) occurring while the individual sleeps, due to a physical obstruction in the airway. 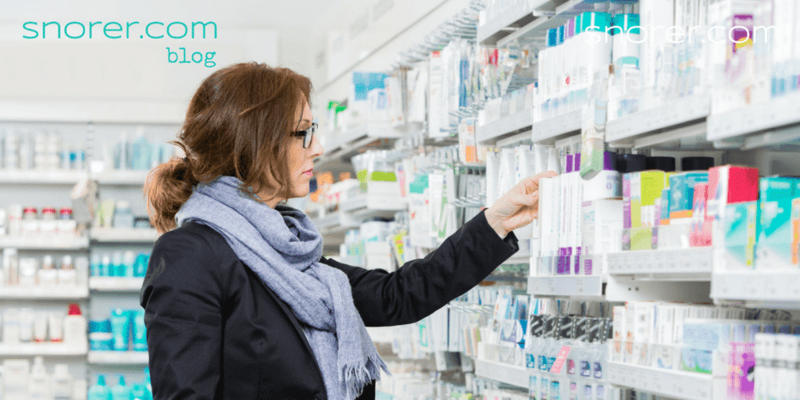 OTC – Over-the-Counter product sold over the pharmacy counter or on-line without prescription, medical or dental assessment and without a review of medical/dental history. 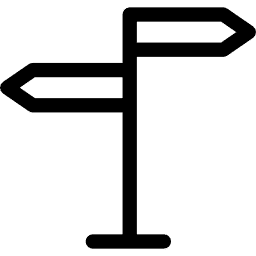 Signposting – Is the medical term for directing people to the most appropriate professional to help them based upon their answers to some high-level questions. Sleep-trained Dentist – A dentist that has undergone special interest training in sleep. As such they are able to obtain professional indemnity insurance. TMD – Temporo-Mandibular Joint Dysfunction. Jaw-ache or pain, due to abnormal or impaired movement. 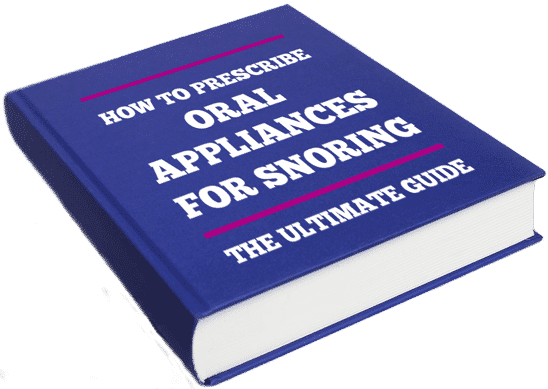 This Guide for dentists, will show you exactly how to prescribe oral appliances for snoring patients. Including lots of real life examples. It could equally be titled ‘When to prescribe…” because there’s a right and a wrong time to prescribe a Mandibular Repositioning Appliance (the technical name). The best part? If you’re a UK dentist, I will show you how to prescribe oral appliances for snorers without a prior medical diagnosis (and stay indemnified). Looking into snoring solutions can be an intimidating process, with so many different options and treatments available. 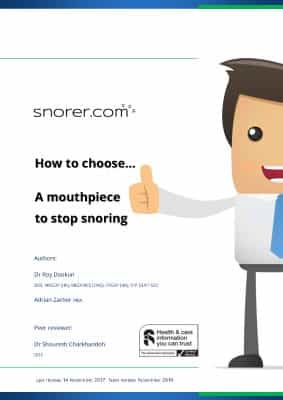 The How to prescribe oral appliances for snoring: Ultimate guide provides in-depth, impartial advice, looking at all the options available, so that the patient can make an informed decision, and the practitioner can offer the best service. Well done! 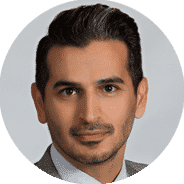 I’m a sleep-industry insider (learn more about me: Adrian Zacher) ↗ with a quarter of century of dental sleep medicine experience. 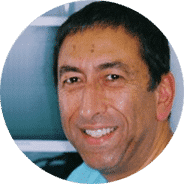 Co-founder & former CEO, British Society of Dental Sleep Medicine. Can I prescribe oral appliances for snoring / sleep apnoea? What does the lab need? How to choose the ‘best’ oral appliance for snoring? Before we begin… is this you? Unless you’re sleep-trained do NOT prescribe an anti-snoring device. I’ve received a referral (patient has sleep apnoea): Now what? Starting right now, I’ll show you how to find enough patients, to make a fulfilling business from helping snorers. Beginning with networking, referrals and building your credibility, we then navigate how to accelerate the process through screening and recognition (I will also cover diagnosis). Helping someone stop snoring, I’m sure you’d agree, is a great aim. Happily, the market for oral appliance therapy for snoring (i.e. prescription, custom-made anti-snoring devices) continues to grow. Indeed, 20% growth in European unit sales (2017) was reported by one of the few listed companies1 that provide such details. So, its perhaps surprising then, that in my experience, dentists get very excited, train how to prescribe oral appliances for snorers… and then…. If you’re reading this, then maybe you have a snorer in mind (you or your other half perhaps?). Well you’ve found one snorer, so how hard can it be, to find some more? (Don’t worry – I will tell you why – and how to get snorers knocking on your door). How to receive referrals of snorers? Snoring (and Obstructive Sleep Apnoea / Apnea). The choice of treatment (in this case a mandibular repositioning appliance or MRA) is not made by them. 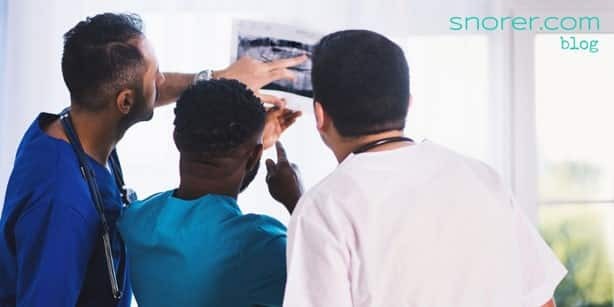 You may as part of your oral health assessment (with training) suspect the patient has an oral tumour and proceed to refer them for expert assessment, diagnosis and a treatment plan. Perhaps you’re involved in the long-term management of the patient? Treatment for snoring or OSA follows diagnosis, and the diagnosis of obstructive sleep apnoea / apnea (OSA) is the exclusive preserve of the Consultant Respiratory Physician (after amongst other things an overnight sleep study) – but we’ll get to that in a moment. These are different names (acronyms) for the same thing: an oral appliance which holds the lower jaw forwards to improve breathing while asleep. A sleep study is an overnight test that (while the patient sleeps) includes measurements of oxygen saturation, body position and the amount of effort required to breathe. When can dentists treat snorers? The presence or absence and severity of OSA must be determined before initiating treatment in order to identify those patients at risk of developing the complications of sleep apnea, guide selection of appropriate treatment, and to provide a baseline to establish the effectiveness of subsequent treatment. Obstructive sleep apnoea (OSA) is a condition where breathing repeatedly stops during sleep4, because the upper airway behind the tongue, has narrowed or collapsed. Sufferers commonly snore. What are the symptoms of Obstructive Sleep Apnea Syndrome? How to differentiate between snoring and OSA? 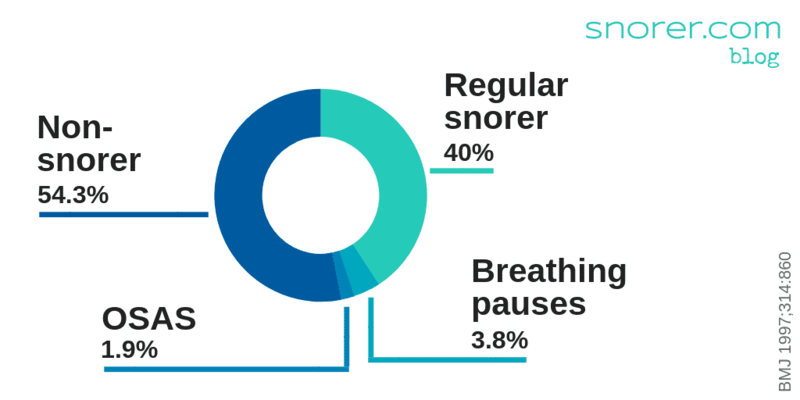 Differentiating between OSA sufferers who snore (who would benefit and most likely comply with a Positive Airway Pressure or PAP device) and ‘simple’ benign snorers, who would be most appropriate for an oral appliance is what sleep units ‘do’. You need to leave this to the professionals in the sleep unit. (Unless you’re a dentist in the UK – we’ll get to how this works later). PAP = Positive Airway Pressure therapy. 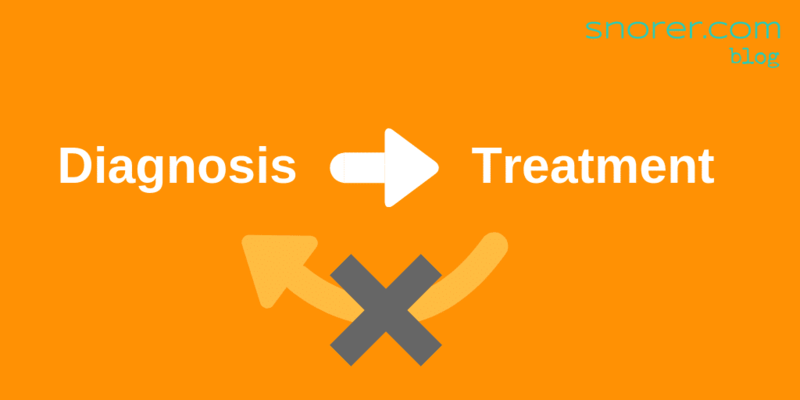 This is the best option for severe obstructive sleep apnoea (OSA). 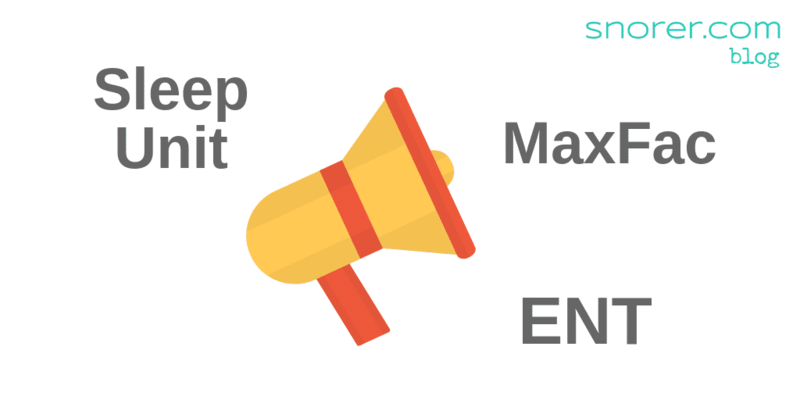 How to get referrals from the Sleep Unit, ENT and MaxFac departments? Active networking is not for everyone. It certainly won’t hurt to write to them, yup, good ol’ snail mail. Sleep-trained dentists in the UK, using the British Society of Dental Sleep Medicine (BSDSM) pre-treatment screening protocol8, may screen and recognise obstructive sleep apnoea (OSA) symptoms (and refer for further investigation). 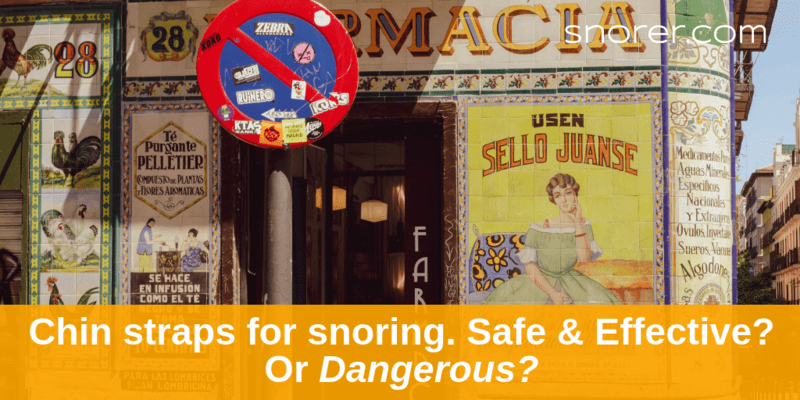 You can train to identify snorers who can be treated safely with oral appliances, without a prior medical diagnosis. Which is a globally unique situation (to the best of my knowledge). Screening for obstructive sleep apnoea? Dentists screen for oral conditions every day. Call it an ‘oral health assessment’ if you like, whether you’re screening for gingivitis, caries or an oral tumour… screening for a condition is simply looking for the warning signs, while it’s in its infancy. The idea of course, is that a condition in its early stages may be more easily treated or managed. Can I screen for obstructive sleep apnoea? Screening for OSA is no different to the screening (sorry oral health assessment) that you do routinely. to your medical history questionnaire. If you do ask this question, then I’m sure you will be amazed how many snorers you discover – and how many want to talk to YOU about their condition. It’s important to note that UK sleep-trained dentists are not diagnosing. They are assessing according to an agreed, published protocol and acting within the bounds of their professional indemnity insurance9, 10 (which is important!). 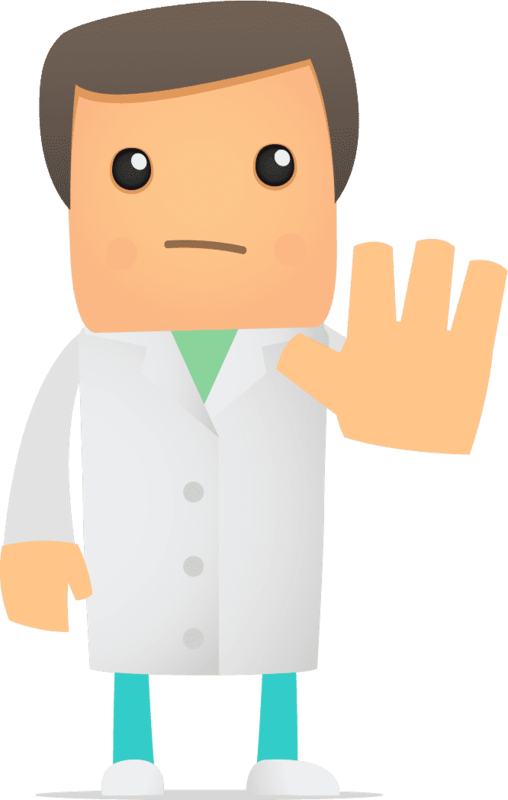 Unless you’re a sleep-trained dentist in the UK, you need to refer EVERYONE to their GP (primary care physician – PCP) for the doctor to decide who should be referred for a sleep study after which the most appropriate treatment can be discussed. You might well see the patient again for the fitting of an oral appliance. The Association of Respiratory Technology and Physiology (ARTP) Standards of Care document, cites the British Society of Dental Sleep Medicine’s pre-treatment screening protocol (as published in the BDJ May 2009, by Prof. John Stradling FRCP and Dr Roy Dookun BDS). These two documents make up the ‘rules of the game’ for UK sleep-trained dentists. We’ll get into this some more later (Chapter 4 – What training do I need?). OK, so you can’t immediately prescribe an oral appliance for snoring. But the snorer you refer to their GP (or Primary Care Physician if you prefer) effectively becomes your ‘sales person’. The patients you push through the system the right way, then help to reinforce your networking. As I said in the paragraph ‘Screening and Recognition’ above, the diagnosis of OSA and what is known as ‘simple’, ‘benign’ or ‘anti-social’ snoring is not something a dentist can do. The diagnosis and treatment of OSA, other sleep disturbances or snoring conditions does not fall within the definition of the practise of dentistry and therefore falls outside the scope of assistance normally provided by Dental Protection. However, dentists can have an important role in the screening of patients for signs and symptoms which may predict the presence of OSA. Consequently, determining that your patient ‘just’ snores and prescribing an oral appliance for snoring, is likely to get you into ‘hot water’. And it would comprehensively obliterate any credibility you’ve built up, with all your networking and screening efforts. There is an expectation that patients see their GP at a frequency, based upon their age and needs. For example, a new mother would perhaps see their GP regularly (say once a week – a month), whereas young adults perhaps less so (once every few years – or only as necessary). And so on. Dentists on the other hand, generally see their patients (and look in their mouths) at defined and comparatively frequent intervals.10 i.e. 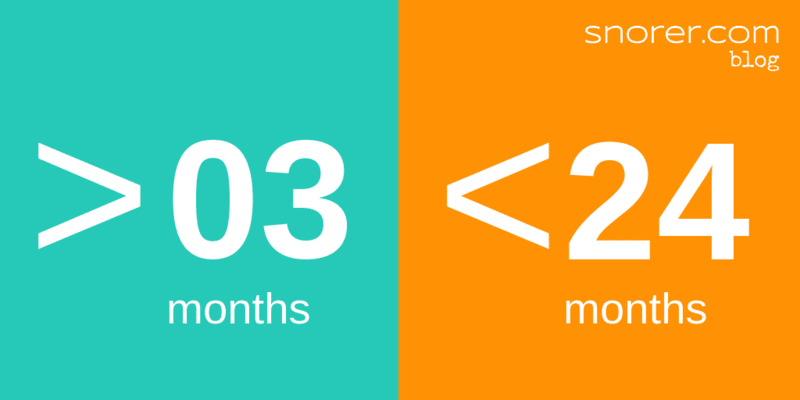 more than 3 months and no more than 24 months apart. Need an Overview of Snoring & Sleep Apnea and the Treatments? Top tip: Sleep-related breathing disorders: Dentists are ideally placed to play 4 critical roles. So, as a UK dentist with dental-sleep medicine training, YOU can become a valued member of the sleep patient care team. 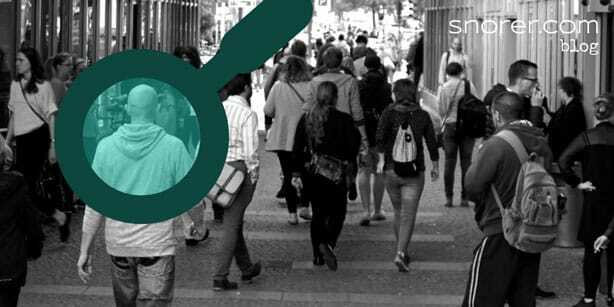 Get signposted snorers making appointments with you. What are the dental clinical signs and symptoms of sleep-related breathing disorders? 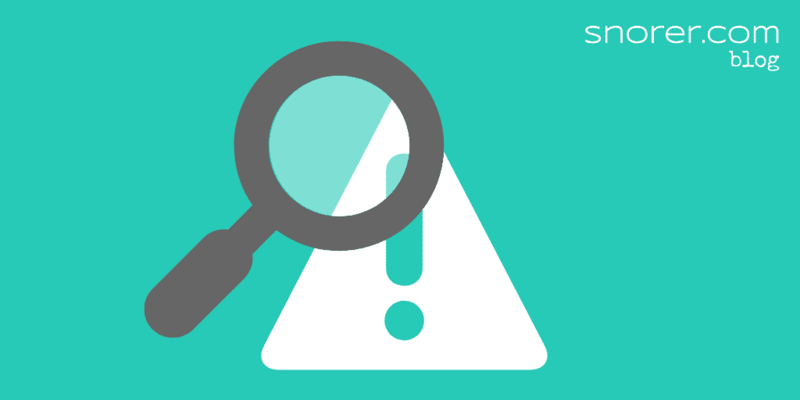 What are the dental clinical signs & symptoms of sleep-related breathing disorders (SRBD)? You may come across these dental clinical signs and symptoms of possible Sleep-Related Breathing Disorders (SRBD). 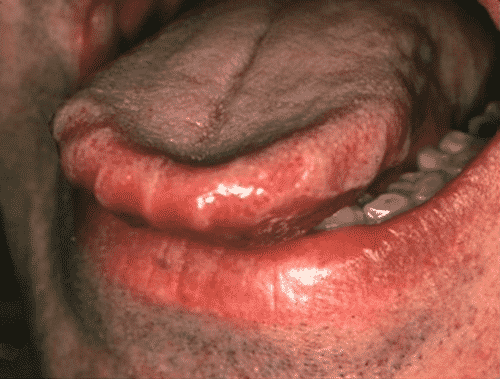 Tongue crenulations (scalloped borders) suggesting perhaps both bruxism and that the patient is regularly pushing the tongue forwards against the teeth to open their oral airway. The development of an anterior or lateral open-bite relationship may result from tongue posturing. Dimpling of the cusps and lingual surfaces of the teeth may be an indicator of related gastroesophageal reflux. Reflux may occur due to ‘pumping’ efforts to breathe bringing up stomach acid. These can be related to the positioning of the mandible to open a person’s airway or bruxing after a sleep apnoeaic episode. During the evaluation of the oropharynx, prominent tonsils, a large uvula, or a narrow or tongue-obstructed airway may be noted. The patient’s age may also contribute to loss of tone of the pharyngeal muscles. Evidence of mouth breathing while sleeping may take the form of drying of the surface of the gingiva. What should I do if I suspect the patient has sleep apnoea? If your suspicions are aroused, then refer the patient to their GP (in writing) for further investigation. Or if you’re in the UK and you’re a sleep-trained dentist, you should screen for OSA and its comorbidities. And if you look down a patient’s throat and see this – what does it tell you? This patient has had a UVPPP (sometimes its written UPPP). This acronym stands for ‘uvulopalatopharynogplasty’ and this is the ENT surgery solution for problem snoring. Read more about surgery for snoring. Can I prescribe an oral appliance for snoring? And this is absolutely about WHEN as a dentist you can prescribe. Time to put the sickle scaler down. When to prescribe oral appliances for snoring? It really is the million-dollar question! So, let’s start positively. The patient has been diagnosed by a sleep unit and referred to you for an oral appliance for snoring or obstructive sleep apnoea. You’re a UK sleep-trained dentist, who has screened for OSA, and is satisfied the snorer is a candidate for oral appliance therapy. If either of the above 2 conditions are not satisfied, then you cannot prescribe an oral appliance for snoring. Sorry, I don’t make the rules. (Err… Except I did have a hand in making the rules in the UK… but that’s another story). In situation above, the patient has been deemed suitable (from a medical perspective) for an oral appliance for snoring / obstructive sleep apnoea (OSA) and referred to you. This is now a double prescription situation. The Consultant Physician has prescribed oral appliance therapy, and YOU as the dentist prescribe which mandibular repositioning appliance (if you consider it dentally appropriate) the patient gets to take home. Oral Appliance Therapy is the term for prescription, custom-made medical devices that reposition the mandible to aid breathing while the user is asleep. These are different names (acronyms) for the same thing: an oral appliance that repositions the lower jaw to improve breathing while asleep. 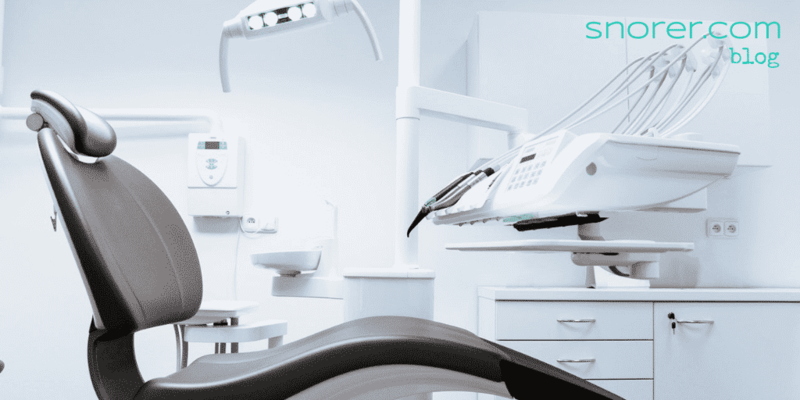 It is down to you as a dentist, to determine if the patient is suitable from your clinical perspective – and then to select the most appropriate oral appliance. What’s wrong with the above case? If an oral appliance for snoring has prescribed – it would likely prejudice the remaining teeth. What training do I need to prescribe an oral appliance for snoring? My point is, that any rational person seeks a whole-of-market view, and treats ‘one brand sales spiel’ with a degree of caution. Selecting dental sleep medicine training, is exactly the same. Training to prescribe oral appliances for snoring: What’s required? Insufficient knowledge of a broad range of oral appliances for snoring. Just like any other medical device, mandibular repositioning appliances have indications and contra-indications. There is no ideal or ‘best’ device. It all depends upon the patient. Professional indemnity insurance risk. Why would you use anything other than an insurer approved way to screen and recognise snorers that are safe to treat with oral appliances (without a prior medical diagnosis)? Look out for the British Society of Dental Sleep Medicine’s pre-treatment screening protocol. What constitutes appropriate dental sleep medicine training? The dental practitioner must also be aware of the range of non-dental appliance interventions (both medical and surgical) available for patient treatment as well as an appreciation of the medical co-morbidities associated with OSA, an appreciation of the dangers of excessive daytime sleepiness (EDS), the assessment of EDS and the importance of taking a full and accurate medical and OSA history. 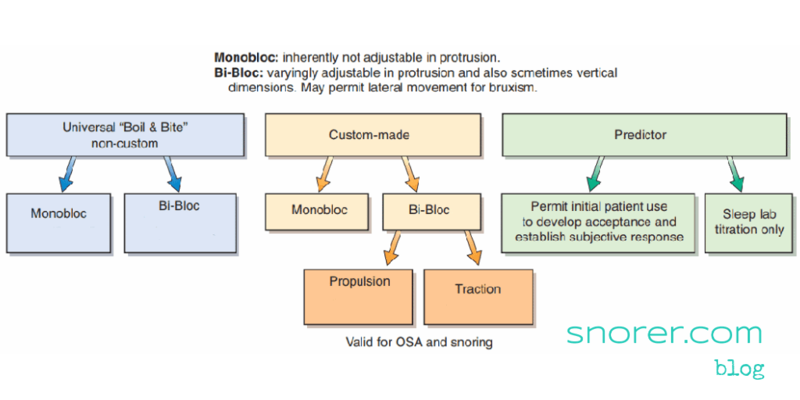 The identification of snoring/OSA predisposing factors needs to be discussed with the patient and along with appliance assessment factors which must also be taken into consideration as these may influence the design of device to be prescribed or even the decision to provide a mandibular repositioning device at all. Cut to the chase: training to do what again? You’re into lifestyle advice, i.e. stop smoking, quit alcohol, lose weight etc. There are a variety of custom manufactured MRD designs available. Some designs may be deemed more appropriate for the individual patient after assessment. 1.7.1 ……………. 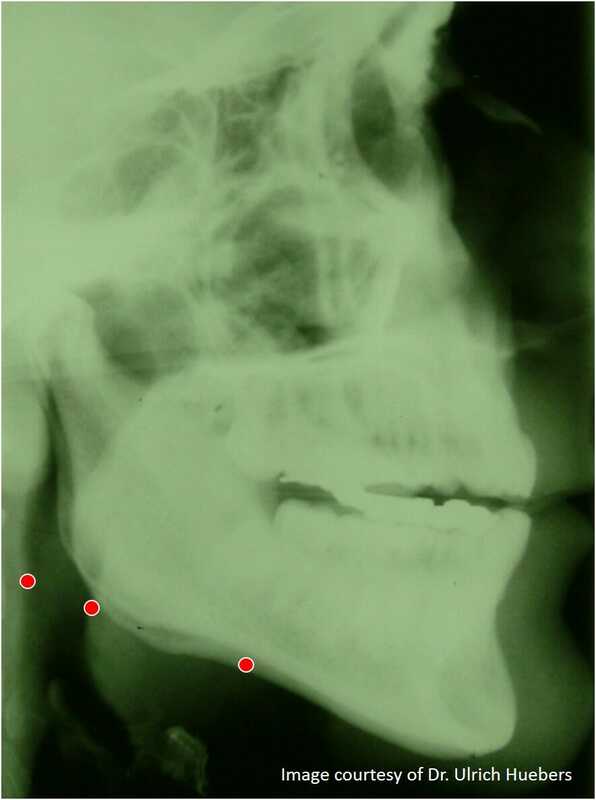 The identification of snoring/OSA predisposing factors needs to be discussed with the patient and along with appliance assessment factors which must also be taken into consideration as these may influence the design of device to be prescribed or even the decision to provide a mandibular repositioning device at all. Which means (if you undertake independent training and use the BSDSM protocol) you’ll stay on the right side of the professional indemnity insurers’ position statements. Fortunately, the Dental Defence Union8 and Dental Protection Ltd.9 have issued position statements (and of course other insurers will refer to these as the industries benchmarks). I say ‘fortunately’ because we’re not guessing. The position statements and ARTP Standards of Care make it crystal clear WHAT constitutes appropriate dental sleep medicine training and what does not. Screen using the British Society of Dental Sleep Medicine’s protocol or frankly you’re asking for trouble. What does the lab need to make an oral appliance for snoring? "What impressions does the lab need?" "What bite registration is required? "Errr... How do I record a protrusive bite?" "How many teeth are required?" What do good, bad (and plain ugly) impressions look like? The examples below, illustrate what impressions and the typical protrusive bite registration, should look like. Consult the dental lab (of course) for specifics for each mandibular repositioning appliance you consider. The impressions shown below are not fictitious. 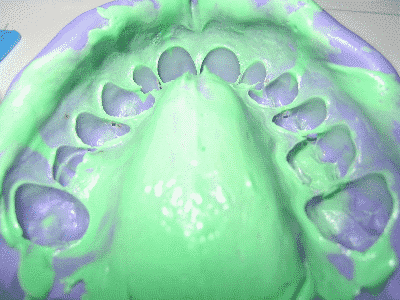 What impression material should I use for a mandibular repositioning appliance (MRA)? 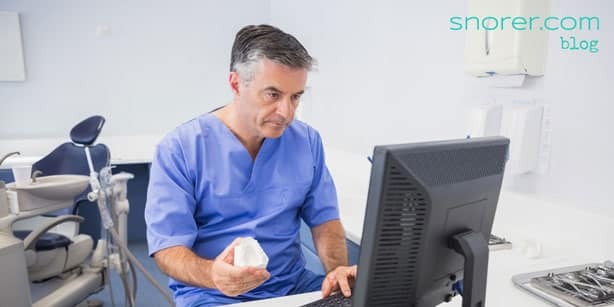 Unless your alginate impressions are cast up within the hour, my advice is to use upper and lower fine detail silicone or polyvinysiloxane impressions of all the patient’s teeth. Use a special tray if required. > Why include ALL teeth in the dental impression for an MRA? It's advisable to include the 8s if present, as regardless of whether they are included in the final device, including them aids the lab avoid interference on protrusion and lateral excursions. > What about sulcal extension? Pay close attention to the sulcal extension where the device mechanism is to be situated. 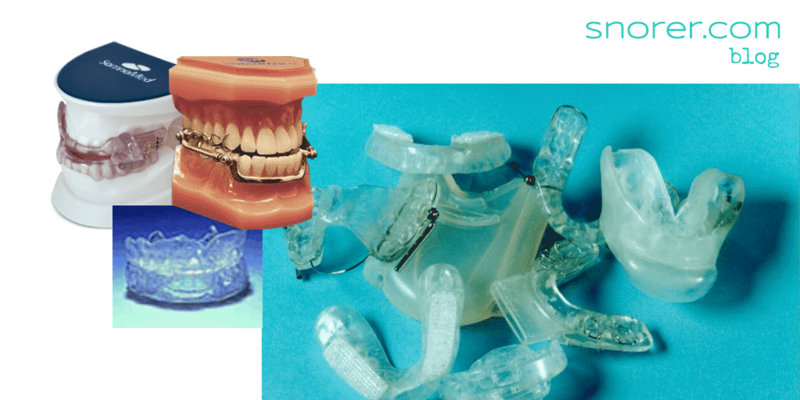 What bite registration is needed for a mandibular repositioning appliance? Typically between 50% and 80% of the patient’s maximum protrusion (it may be useful to work back from 100%). Your protrusive bite registration dictates your choice of oral appliance: Don't have an oral appliance in mind. How to record the protrusive bite? The George Gauge video below (click on it bottom right to go full screen) shows you more about how to take a protrusive bite registration with a product called a George Gauge (you can get these from MRA labs). How many teeth are required for a mandibular repositioning appliance? So that wraps up general lab requirements. Talk to your lab - they may have their preferences and these may vary for a particular device. How to choose the 'best' oral appliance for snoring? We've covered How?, When? and What? now we'll look at Which? Which oral appliance for snoring is 'best'? Class II?, Class III? A heavy bruxist? Has edge-to-edge incisors? Has a heavily restored dentition? Do you mean to say the 'best' oral appliance can't cope? Which oral appliance for snoring do I prescribe? There's a lot of marketing guff about this or that oral appliance for snoring being the 'best' one. The 'best' oral appliance for your patient is of course, the one indicated and not contra-indicated. "There is no ideal (read 'best') oral appliance"
Mr X snores. He does not have OSA (referred to you by the local sleep unit), his BMI is 30 but he is otherwise healthy. He is late 30's, fully dentate, with reasonable oral hygiene and no perio. No evidence of TMD. He is Class II skeletal (mandibular retrognathia) with an acute condylar angle and a 'step' between lower 3 and 4. As he protrudes his OVD markedly increases. An oral appliance that crowds his already cramped tongue is contra-indicated. Mr S snores. He has moderate OSA and is PAP non-compliant (referred to you by the local sleep unit). He sleeps supine (on his back). He is mid 40's, was a rugby player in his youth and now his BMI is 35 despite exercise. You suspect it relates more to muscle bulk and not so much fat. Neck circumference is 20 inches. He bruxes and exerts terrific forces on his MRA (which he swears by). He has however found the metal components BREAK. And he has on occasion woken up with the broken part in his mouth. Metal components will be work-hardened by his bruxing. Perhaps consider an MRA where metal components are not subjected to his bruxing forces. Ensure it permits limited lateral movement or be prepared to swap out the metal components at frequent intervals. Consider offering advice re positional therapy. Miss G snores. She does not have OSA (referred to you by the local sleep unit), and she is otherwise healthy. She is mid 30's, fully dentate, with reasonable oral hygiene and no perio condition. BMI 35. No evidence of TMD. She is Class I skeletal. She has a 'firm' incisor relationship (edge-to-edge) i.e. nil overjet / overbite. Which MRA do you consider is indicated? Consider an MRA that neither contacts the labial aspect of the maxillary incisors or lingual aspect of the mandibular incisors to limit and ideally prevent incisor tilting. Mrs B snores. She is a new patient. She does not have OSA (referred to you by the local sleep unit), and she is otherwise healthy. She is mid 50's, fully dentate, with reasonable oral hygiene and no perio condition. BMI 35. No evidence of TMD. She is Class I skeletal. Her incisors have veneers and her molars have bridgework that do not raise immediate concerns. Consider perhaps an MRA that is less dependent upon dental retention for its effect. Here are two examples (and there are many more) of oral appliances for snoring with entirely different protrusive mechanisms. While they both protrude the lower jaw, they have different indications and contra-indications, range of movement, side-effects and frankly costs! Which one is 'best!' Hah! Knowledge of a range of MRAs is vital for you to prescribe the most appropriate for your patient. It gives them the best chance of it working and should minimise side-effects. "...possessing knowledge of a range of oral appliances". Sadly, time and again, I've witnessed dentists and patients struggling with patently the wrong type of MRA. The well-intentioned but misinformed dentist is at a loss. They have nothing else to offer the patient because the 'one trick pony' lab they usually rely on, only sells the 'best' oral appliance. The lab does not have the indicated oral appliance in their portfolio - i.e. they believe their own hype - and are contractually bound NOT to carry competing (shouldn't that be complementary?) appliances. "Your protrusive bite registration dictates your choice of oral appliance: Don't have an oral appliance in mind." The 'protrusive bite' informs your decision-making process, when it comes to selecting the indicated oral appliance for your snoring patient. With MRA use, the total protrusive range of motion may well increase: Patients don't normally go around protruding their mandible - their perception of 100% protrusion may well be inaccurate. 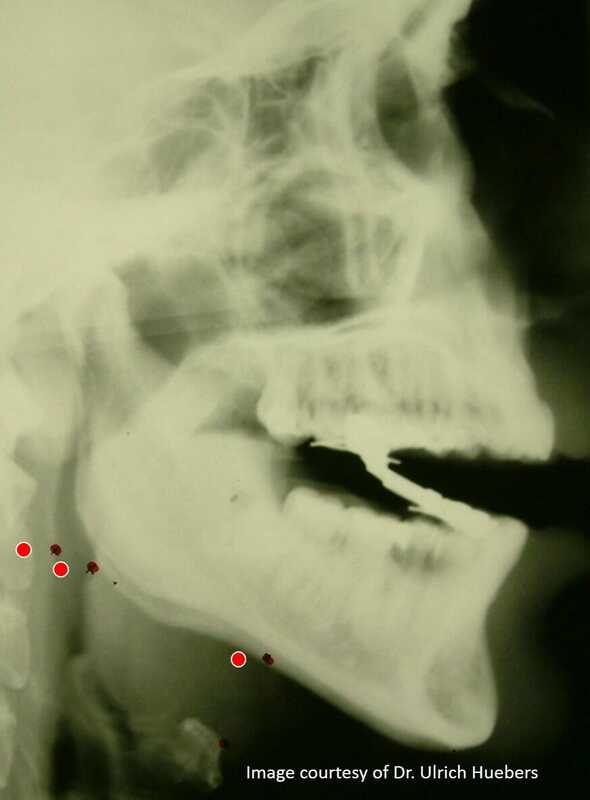 The MRA mechanism does not connect any more: At the limit of MRA protrusion, upper and lower appliances of the 'hook and screw mechanism between the incisors' type MRA, may no longer connect. I did say it was a little complicated. Moving past the bite registration, what factors influence oral appliance selection? What to consider when selecting the 'best' oral appliance for snoring? Bruxism (damage to the MRA verging on destruction in a week or less. Or if they brux and the MRA does not permit lateral movement, the MRA may cause an arousal or the patient may simply not wear it). Tongue space invasion - acceptance and frankly effect! Placement of the adjustment mechanism - you need there to be teeth where you want to put the mechanism. What are the contra-indications for an oral appliance for snoring? The presence of these 'red flags' does not mean an MRA is out the window. It does mean you need to select the most appropriate oral appliance to prescribe. There is no 'best' oral appliance. 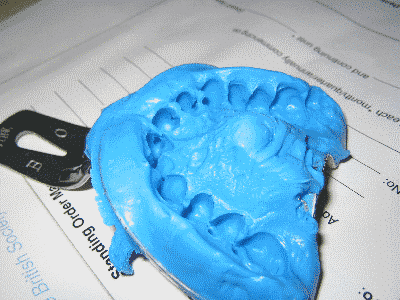 The oral appliance has arrived from the lab: Now what? Once the patient is comfortably inserting (and removing) the MRA themselves, its time to revisit your discussion about seeing them again. Its important to point out, that for an oral appliance to stop someone snoring, they're going to need support and encouragement. The first 2 weeks set the pattern for the future. When do you plan to see them again? Or perhaps, when should you see them again? And what's this about your 'Duty of Care'? Top tip: 'Play' around with a new oral appliance for snoring BEFORE you see the patient. To work out the adjustments (and know which way up it should be!). Snorers may need motivating to wear their oral appliance (because it won't work immediately) and most patients find that it takes time to become accustomed to its presence. While those with OSA must be followed up rigorously. What does Subjective and Objective titration mean? Adjusting the oral appliance's protrusive position to stop snoring and overcome sleep apnoea, is known as 'titration'. Subjective titration means adjustment ceases when the wearer decides (perhaps with the kind assistance of their partner). No further protrusion is required. 3 days from fit a phone call "How has it been...?" 3 days later another call "Any improvement?" Repeat until either snoring ceases or no further protrusion can be tolerated. Should the patient experience TMJ issues the patient should be instructed to immediately cease wearing the device. Refer them to a TMD expert. An aggressive (impatient) rate of titration WILL bring on TMJ issues in just about anyone. But what if they're sleep apnoeaic? Objective titration is when evidence of effect is used, to inform adjustment of protrusion. The patient begins by becoming accustomed to wearing the oral appliance. They then titrate subjectively (see above) and at this point they have a sleep study to see if the MRA is providing effective therapy for their sleep apnoea. Write and say thanks for the referral. Advise of your intended treatment plan, your review schedule and ask about repeat sleep studies. Ask about supine sleep position (observed by sleep study) as positional therapy combined with an MRA, can be an effective way to control OSA. As a trained member of the sleep-patient care team, you have a duty of care for both the snorer and the sleep apnoeic patient. The diagnosed OSA patient in the situations above needs to revisit the sleep unit. 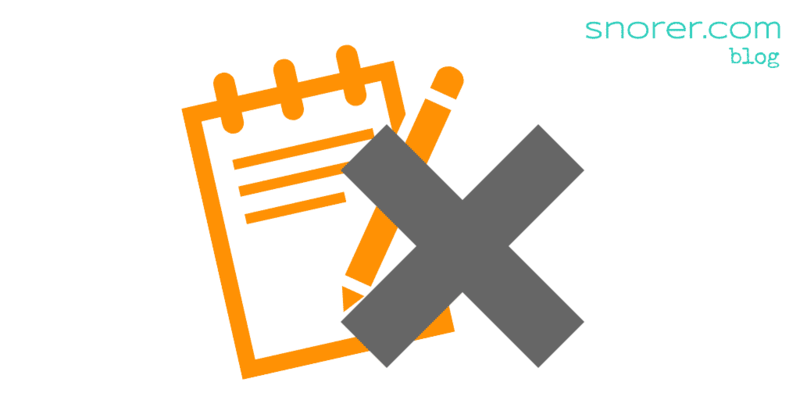 You need to write to the GP and communicate what has (or hasn't) happened. Longer-term, tooth movement WILL occur. There is no point in dressing this up. How important is that tooth movement? The pictures above are after 21 months of nightly use of an oral appliance for snoring, the patient's occlusion now appears as an anterior crossbite with an anterior displacement of approximately 2.5mm. These post-treatment photos were taken after three weeks of non-use. It is vital to keep tooth movement, as a result of mandibular repositioning appliance wear, in perspective. As dental professionals we may be shocked at undesired orthodontic tooth movement. But you may be hard-pressed to extract the effective oral appliance from the patient on the grounds of a tilted incisor! Post-wear exercises e.g. chewing gum in the shower can help the mandible to return to its 'normal' position. The patient had minimal (if any) overbite before MRA use: an overbite is considered 'protective'. As a trained member of the sleep patient care team you have a duty of care. Not just to recognise when to treat or refer new patients. The patient has reached their physiological or maximum tolerable protrusion. Their condition as changed: for example with age, weight gain and lifestyle changes etc. These patients need your help. They need you to recognise the change in them (that they may not see themselves) and refer them for further investigation at a sleep unit. This Guide wraps up with an FAQs and resources section. Repositioning or Advancing the mandible? MRAs aid breathing while the patient sleeps, through anterior repositioning of the lower jaw. There is also an optimum vertical opening. Is it really: Airway versus Occlusion? Yes, long-term use of MRAs will result in occlusal change. My patient has sleep apnoea and is struggling with PAP - when can I make an oral appliance for them? When the referring Physician decides. In this circumstance, communicate with the GP and the sleep unit. Explain what is happening, your concerns (i.e. they may use an OTC product) and offer your assistance. What is patient compliance like with an oral appliance for snoring? Compared to what? Generally speaking, patients that use prescription custom, adjustable MRAs, use them every night, insert them as they go to sleep and wear them until they wake up. However, for the sleep apnoeaic patient, the MRA may be less effective (measured using overnight SpO2 saturation) yet used more frequently than PAP therapy (both more hours and more nights a week). Are MRAs adjustable by the patient, in terms of mandibular advancement? Yes. While MRA designs vary, patients will find a way. Further, you may wish to retain control of adjustment (see titration). Patients may adjust the position in error (typically rapidly increase protrusion) and create TMJ issues that prevent use until the joint has recovered. Ultimately delaying effective therapy. Should GDPs ask about sleep routinely? By now you see there is a role (and therapy) ideally suited to the General Dental Practitioner. It is your choice: do you want to help your patients in this way? Consult HMRC for the latest guidance. HMRC (the UK's tax man) considers products for snoring, luxury items and demands 20% VAT. For patients with diagnosed OSA an MRA is zero rated. You may reclaim 'input VAT'. 'Loose' lower incisors? Has the patient been wearing an OTC anti-snoring device? OTC oral appliances will damage the patient. Maximum protrusion = maximum effect, right? If only life was that simple! The "Law of Diminishing Returns" applies to MRA titration: initially lateral loads are perhaps low (with minimal side-effects) and the effect increases linearly. However, beyond a patient-defined protrusion, lateral loads significantly increase for non-linear gains in efficacy. Still further protrusion may cause pain, significant dental side-effects and less effect. Download: Management of sleep apnoea and snoring, suggested guidelines for General Practitioners and other interested medical professionals. As a PDF. Did this Ultimate Guide help? Let me know by leaving a quick comment below right now (scroll down). 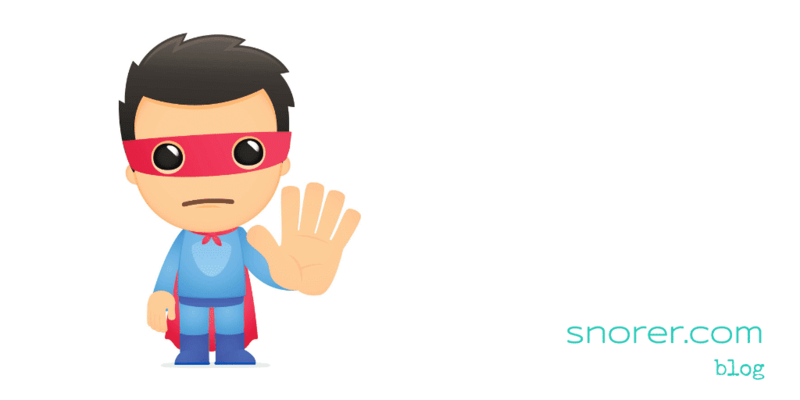 Snorer.me Signposting™ is a CE marked, Clinical Decision Support System, Software as a Medical Device. The Manufacturer is Snorer.com Ltd. Created by Adrian Zacher and Emma Easton. All rights reserved. Last updated 22nd Mar 2019. This site is intended to provide balanced, scientific, and evidence-based information that is not intended as medical advice. Responsibility for patient care resides with the healthcare professional on the basis of his or her professional license, experience, and knowledge of the individual patient. This resource may include information that has not been approved by the US Food and Drug Administration. For full prescribing information, including indications, contraindications, warnings, precautions, and adverse events, please refer to the approved product labelling.